This component is a bit complex. If you’re going to read the source code, you might find yourself going deeper and deeper into other various components and classes. I’ll try to make it a bit easier for you to understand it with this tutorial. 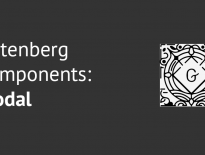 Before we look into how this components is used or how we can use it as well, let’s learn about the properties that it accepts. I am going to take the Tags field here as a reference. placeholder – if passed, the input field will show a placeholder if there are no tags selected. SuggestionsList – list that shows the tags. All of those components can be found in files from the Form Token Field repository folder. 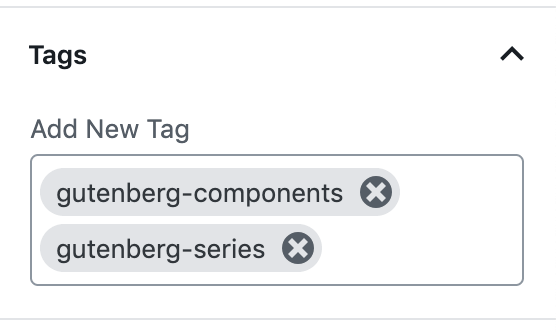 Let’s now see how this component is utilized in Gutenberg to create the Tags field. The Tags field does not use the Form Token Field directly, but it actually implements it into another component. That component is FlatTermSelector from the PostTaxonomies component. messages – object with messages for added, removed and remove. The value is populated from the variable selectedTerms. These terms are retrieved from the state. If there is a property terms passed to the FlatTermSelector, it will use those. Otherwise, it will fetch them from the taxonomy rest route for the post (or custom post type) that we are using. When the terms are fetched, they are stored in the state of the component as availableTerms. This is done like that because we want all the information on each term so we can manipulate them. Then, the property selectedTerms is populated from the availableTerms so that the property becomes an array of term names. The onInputChange is also a function that will fetch the terms based on the value in the input. The function fetchTerms will then again populate the suggestion list. The property suggestions is populated from the variable termNames. That variable is built from the availableTerms. 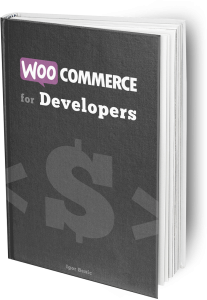 To save the tags, the FlatTermSelector component uses the property onChange. The function used here receives the selected term names. Since the database relationship between the post and taxonomy is through IDs, that function is building an array of term IDs based on the (previously stored) availableTerms property from the state. Then it passes all those IDs on the function that will update the terms (through the REST API). Let’s now use the Gutenberg Component FormTokenField to load posts and choose some of them. We won’t save them to any database, we will only use the local session storage of your browser. You can then refactor that method to do what you need it to do. First, start a new React App using the “Create React App” by typing this in your terminal (command prompt). Be sure to position yourself in a folder you want to build this. We will need lodash for a part where we save our posts that we retrieve. The other WordPress dependencies are what we need to use this component. The ApiFetch dependency is going to be used to retrieve the posts from your site. Let’s add our dependencies first in that file. Our component will be called SearchPosts and it will initial have a state with tokens and availablePosts. Both are arrays where the first one will hold post titles of selected posts and the second one will hold the data of all available posts that were retrieved from the site. We will need a method that will be called when the input has changed and that will search for posts. We are also binding this method in the constructor so we can use this inside of it. 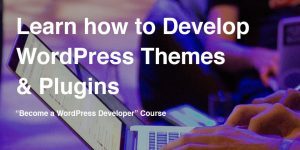 For this tutorial, I’ve used my own site to retrieve posts but you can put any other site that has the REST API enabled. This method will be passed on the onInputChange property. We will save posts when a new post is selected. This method will be passed on the onChange property. We also need to show the saved posts on each page load. The selected posts (tokens) are going to be saved in the state of the component and also in the local session. When the component is mounted, we are checking the local session for stored post titles and then we are setting that as an array of tokens. In a real application, you would also fetch all the posts with such titles and store it in the state of this application (in availablePosts for example). Now we need to finish our component with a render method and export it by default so we can use it in other places of our application. For the suggestions, we are building an array of post titles from the availablePosts array. Then we are using the FormTokenField component and set the properties as we need them. We can now render our component in the App. Open the App.js inside of the src folder. This is just a small tip on how to load the posts and keep the component from loading more until the initial load is finished. We will utilize the disabled property for that. The Gutenberg component Form Token Field is a great component if you’re looking for something more than just an autocomplete solution. This field can be used when you want your users to pick up some categories, interests and various data that can be seen as a tagging data.